This is the Annual Tony McManus Geopoetics Lecture 2018, given by Mairi McFadyen. See slides from the lecture here. For more on Geopoetics go here. McManus writes, ‘The word ‘poetry’ in these context does not refer to the current mass of more or less formulaic statements of personal-social angst which rarely goes beyond names and words. Poetry, here, is the expression of the human mind which has reached a perception of the world which it must express. When the human expresses the perception of being which opens up to this philosophical mind, he is not scientist, he is not even philosopher, he is poet: poetry says Heidegger, ‘brings being into the light.’’ That is to say that our capacity for intense perceptive experience, and the rich expression of it, is part of what it is to be human. Poetry, in this case, goes beyond the literary form to take in other forms of creativity, such oral expression, writing, visual arts, music, science. In other words, it is the natural and, potentially, universal expression of what White calls this ‘sense of world.’ The ‘poetic’, in this context, becomes synonymous with human potential for constantly ‘making the world new’ (Bachelard 1958). I need to talk a little about this word ‘culture’ in this context. In geopoetics, ‘the fundamental questions is cultural,’ but in the most expansive sense. In White’s view, culture is ‘the way human beings conceive of, work at and direct themselves.’ If ‘agri-culture means working at a field to produce the best crop,’ he writes, then ‘human culture means working at the most harmonious growth of the individual and the collective in its environment.’ In the collective sense, culture is defined as to what is essential to the group. Successful cultures cluster around a central motif, a nucleus of interest, a poetics, understood here as basic language of experience, perception and expression. 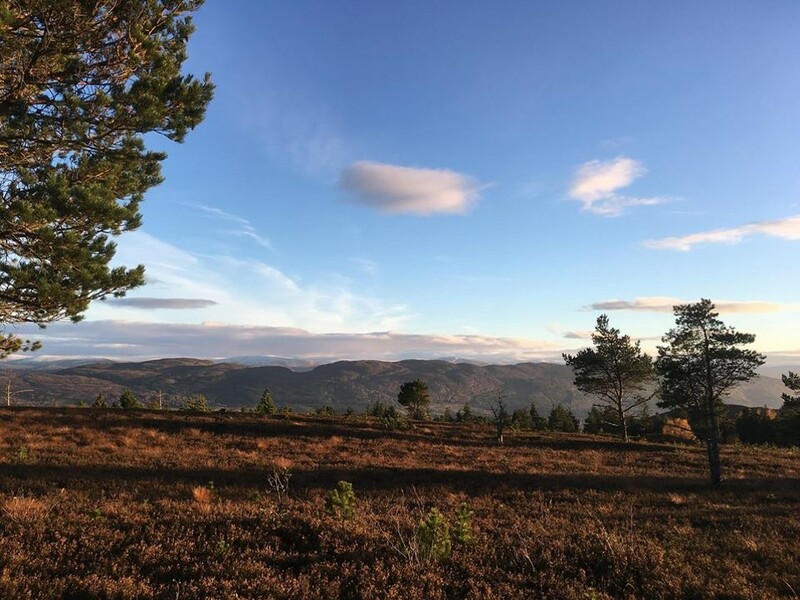 I was keen to explore what a creative ethnology as a form of geopoetics might look like – the ethnologist as the figure of the poet-thinker, the artist-philosopher – and so took this question to the Expressing the Earth conference in 2017 (this, as I mentioned, is the topic of my essay in Stravaig). Ullrich Kockel – whose writing has been an inspiration to me – and I later co-wrote a chapter situating a Scottish creative ethnology in a European context, drawing on the rich wells of tradition and critical thought in this place. We evoke the metaphor of Nan Shepherd’s ‘Living Mountain’ – the topic of last year’s annual lecture and of the carrying stream; Hamish Henderson’s ‘Carrying Stream’ – an affirmation of the living current of intergenerational transmission; and also Patrick Geddes. Described variously as a Victorian polymath and ‘synthesising generalist,’ Geddes was looking for connections and patterns, and the intellectual tools to bring disparate ideas into relation, cultivating what he called ‘sympathy, synthesis and synergy. I have written about this elsewhere. We are living through a very strange moment in human history – distuWe face huge challenges: ecological and climate breakdown as a consequence of global capitalism and its environmental destruction; challenges to globalisation with the rise of right-wing populism and the retreat into entrenched ethnicities, Brexit, Trump, Brazil; Big Data… Our daily news cycle is a nightmare. Every conversation I seem to have these days finds its way back to this sense of disbelief, hopelessness, frustration, despair. All of these discussions hold up a mirror to our collective consciousness. In the face of it all, it’s an opportunity for reflection, and to ask again, why we are here, what does it mean to be alive? What can we do, how can we act? Where can we rediscover purpose, collectively? In July of this year, academic Jem Bendell, published a paper called Deep Adaptation: A Map for Navigating Climate Tragedy in which he offers a new framing for beginning to make sense of what we face. Bendell, himself a Professor of Sustainability Leadership at the University of Cumbria, believes that best-available science says that there is an inevitable near-term social collapse due to climate change, a process which has already started, and a process of which many mainstream sustainability professionals are in denial. This situation has led others to conclude that we should be exploring how to live in an unstable post-Sustainability situation, exploring post-growth or degrowth models. The current neoliberal system offers little hope for the kind of changes that will be needed and, further, it has the capacity to worsen the harm done to the Earth, and to impose greater suffering and oppression on the many in order to protect the power and wealth of the few. As an invitation to enter a dialogue, Bendell offers Deep Adaptation as a framework for communities to explore how they might to prepare for collapse, both locally and globally (I will outline this below). Such an approach is seriously under-discussed because it has hitherto been taboo. 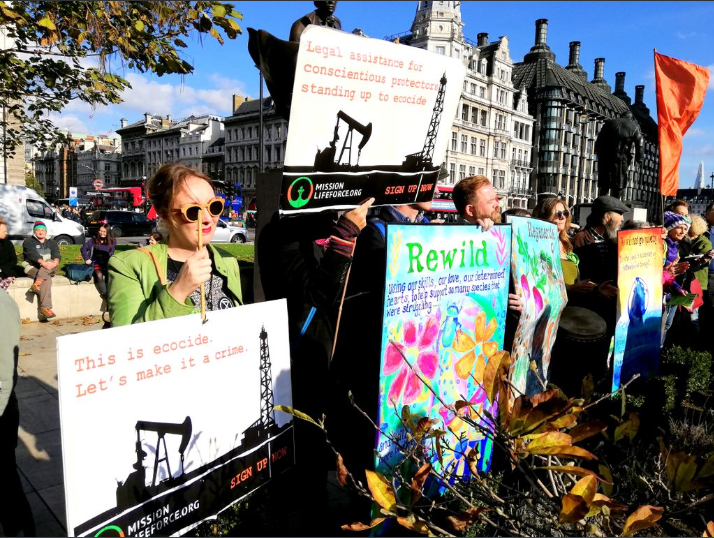 His framework has already influenced community dialogue on climate change in Britain in the past two years, including in Peterborough and Newcastle, as well as being used by the Dark Mountain network which many of you will be familiar with. There are the beginnings of a movement in Scotland too. I want to discuss the second of these for a moment: relinquishment. In order to find new ways of thinking and living – of survival – we are going to have to let go of a whole lot of things. This is a question I have been asking of myself in recent months. In many ways it is a difficult personal process; it involves a something of a deconstruction of the self, of a previously held sense of identity and expectations. Who am I and how am I in the world? What is my role? What am I willing (or not) to be complicit in? How (and where) do I want to live? What am I willing to give up? What am I willing to let go of? 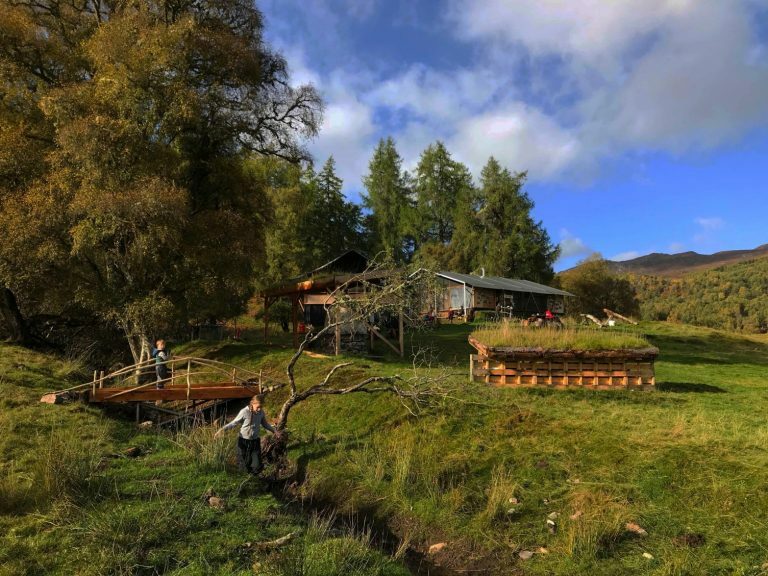 The Shieling Project, Glenstrathfarrar – restoring life and community. Photo -right. Sorry to miss the lecture, Mairi, but glad to see it up on Bella. And glad to see geopoetics linking into critiques of what happening in the economy and environment. Grand stuff,Mairi…we dae need aw-embracin answers gin balances that hae bin cowpin crazily fir decades are ivir gonnae sort thirsels oot Fykie times the nou wi monie the fell ploy at wark – bourach is indeed the word. Ah wis a colleague o Tony’s fir a guid few year….and,aye,he lived the geopoetic life,nivir stopped the creative thinkin fir a meenit.